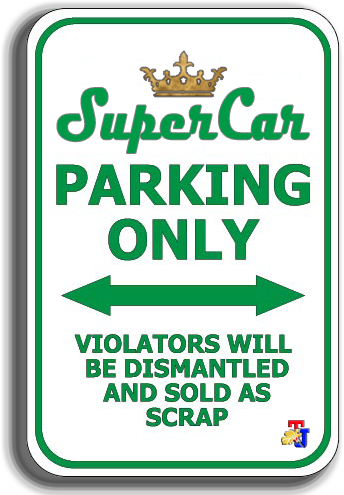 NASA re-create the public by surprise. 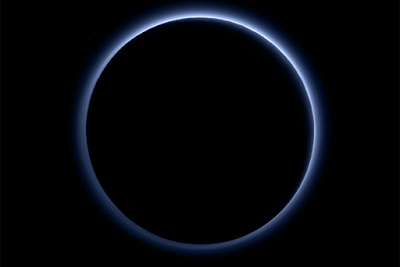 This time the US space agency announced that Pluto has a blue sky and water. The announcement was revealed after the New Horizons spacecraft provide the latest images to Earth. It is for the first time a planet farthest from the solar system, located in the Kuiper belt were observed in such detail. "Who would have thought there is a blue sky in the Kuiper Belt? 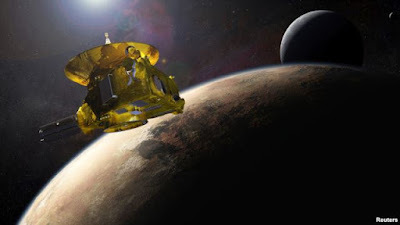 This is really amazing," said Alan Stern, New Horizons team leader as quoted of ABC on Friday, October 9, 2015. Along with the announcement of the latest findings, NASA also released the latest images of blue gas layer that surrounds Pluto. The blue sky is actually owned by the Earth. This is the result of sunlight mixes with a little bit of nitrogen gas. "At Pluto, a blue circle appear larger - but still relatively small compared to the Earth, soot-like particles called tholins," said Carly Howett, one of the science research team members. 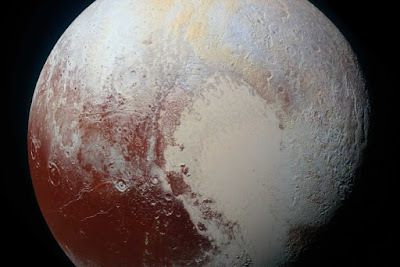 In addition, the second findings are quite important found on Pluto, ie the latest image from the unmanned spacecraft has found a lot of water droplets freeze at the dwarf planet. By using a device called a mapper spectral composition, scientists have been able to map the ice-water mark in various parts of the planet's surface. "A larger overlay of Pluto did not show entirely exposed to water ice. It is possible covered by other substances, the ice here is estimated to be volatile," said Jason Cook, one of the science research team members. "Understanding why the water appear in different locations is a challenge that we must dig deeper," he added. Areas that appear to contain the most water ice are also visible red light in recent color picture of Pluto. "I am surprised that this ice water looks red," said Silvia Protopapa, one of the science research team members. 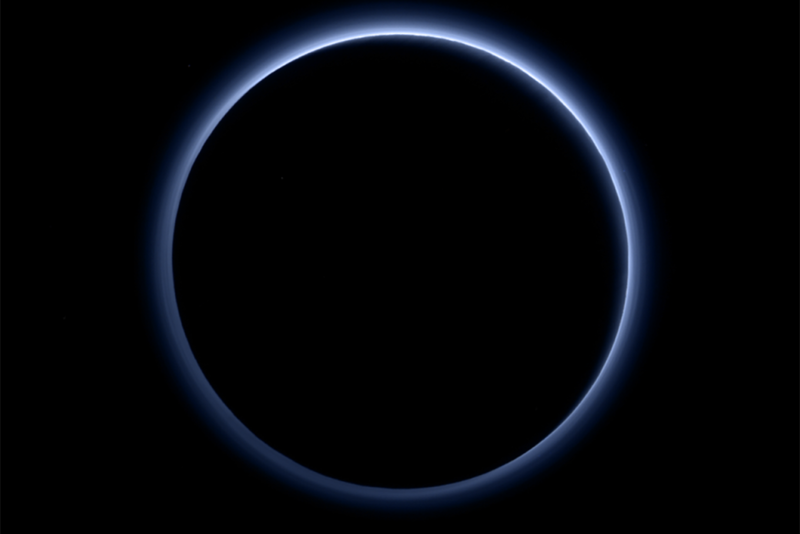 "We do not understand the relationship between ice water and dye tholin redness on the surface of Pluto." 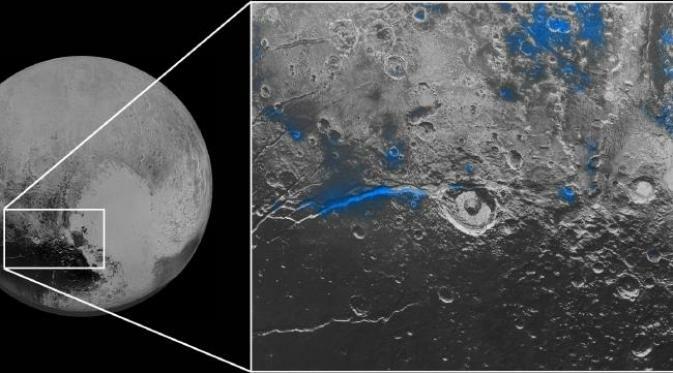 Scientists had previously reported seeing glaciers flowing nitrogen ice on the surface of Pluto. 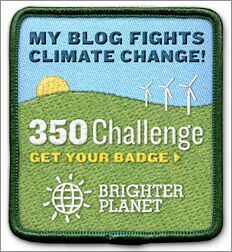 On July 14, 2015, New Horizons, becoming the first spacecraft passes Pluto.